A few weeks ago, my friend kchev mentioned that he wished he had known when Coldplay tickets went on sale for their original concert. If he had read this blog *cough* *cough* he would have known about it (here). But anyway, I made it a point to email him about this new second show that was just added - because I'm nice like that. Coldplay's "Viva La Vida" North American Tour will return to the TD Banknorth Garden for a second show this fall - October 29, 2008 at 7:30 PM. Tickets go on sale at 10am EST Friday morning 8/15. PS. To kchev, please dont' forget about me when Google buys your startup company for billions of dollars. 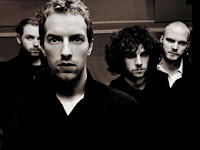 0 Response to "2nd Coldplay Concert Ticket Sale - 8/15"